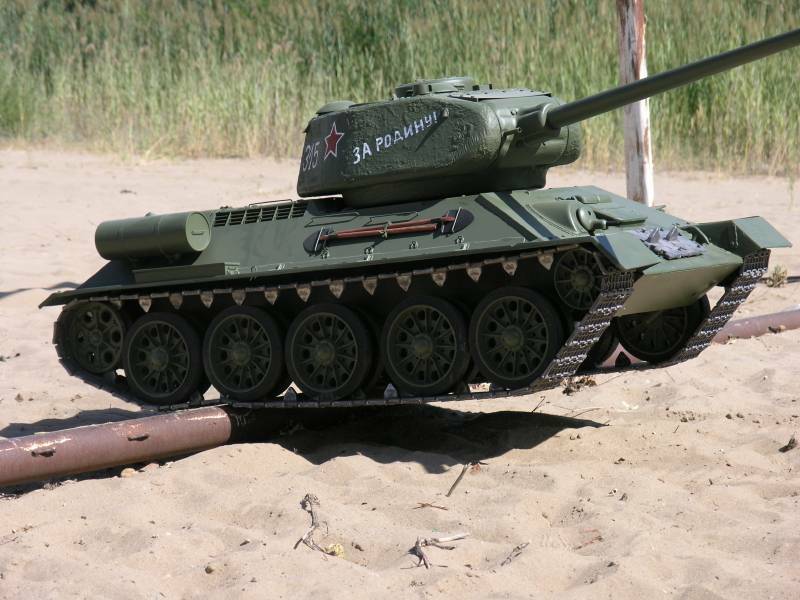 For over ten years, our firm has been producing and selling the exclusive models of radio controlled tanks, which are highly recognized around the world and respected among our customers. 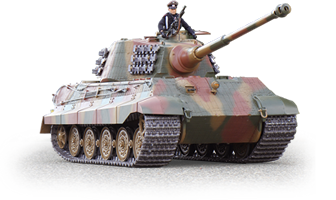 Driven to satisfy the needs of the clients, we are committed to manufacturing the r/c tanks that are reliable and identical in their technical characteristics to the originals. Our firm produces tank models of scales 1:8, 1:6 and 1:4, which are the original copies of the tanks of World War II and also modern ones. The quality of the models allows our firm to offer a great variety of actuating mechanisms, which implements the turn turret , gun elevation , recoil, and the opening of the hatch. Our firm also makes the sounds imitation as well as the electronics for controlling the engine of the tanks. The chassis of the tank is made out of steel, aluminum, and duralumin, while the tank hull is made out of fiberglass, which is very solid, but light material We offer a great variety of motor gears with powers of 250W, 350W, 500W (12-24V) that are extremely reliable and economical. For example, our standard tank, scale 1:6, with 2 engines and battery (12-24V on your choice) accelerates up to 12 km/hour (7.5 mi/hour) with at least 3 hours of running time and unlimited cross-country ability. 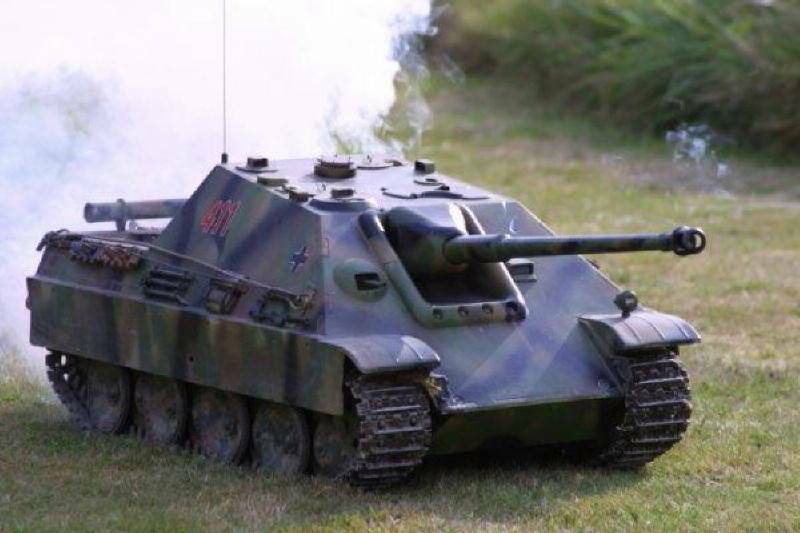 Our radio controlled models are built to perform and made by people who have a passion for the tanks.